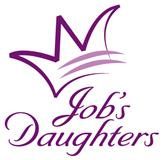 Job's Daughters is a fun group for girls, ages 10-20, which promotes FRIENDSHIP and teaches skills that they can use now and throughout their lives. It's an organization where girls feel they belong and can really be themselves. They plan their own activities and events, help out in their community, travel and make more friends. They do CHARITY work and have SCHOLARSHIP opportunities. Most importantly, they just have FUN and spend time with each other! Sleepovers, pizza nights, dances, and laser tag are just a few of the fun activities that the Jobies in Surrey like to organize! We have so much fun just being together it doesn't seem to matter what we do it turns out to be a memorable and laughter-filled night! We also participate in many servings and charity supporting activities. Job's Daughters even have their own charity that raises money for Hearing Impaired Children through the H.I.K.E. fund (Hearing Impaired Kids Endowment Fund). If you are interested in meeting us we have many fun activities that we would love to invite you to! For more information please click the 'contact us' tab above.